Tenx9 is a storytelling night: nine people have ten minutes each to tell a real story from their lives. It started in Belfast, and you can read our story about how we came to be here. Our local Tenx9 happens on the first Monday of the month at The Bedford Pub, in Balham. If you have a story you’d like to share, let us know – drop us an email tenx9balham@gmail.com, send us a tweet @tenx9balham, or leave us a message on Facebook. We can’t wait to see, and hear some of you, at one of our next Tenx9 events, listed below. Is it a place or is it where the heart is? Are you planning on being home for Christmas? 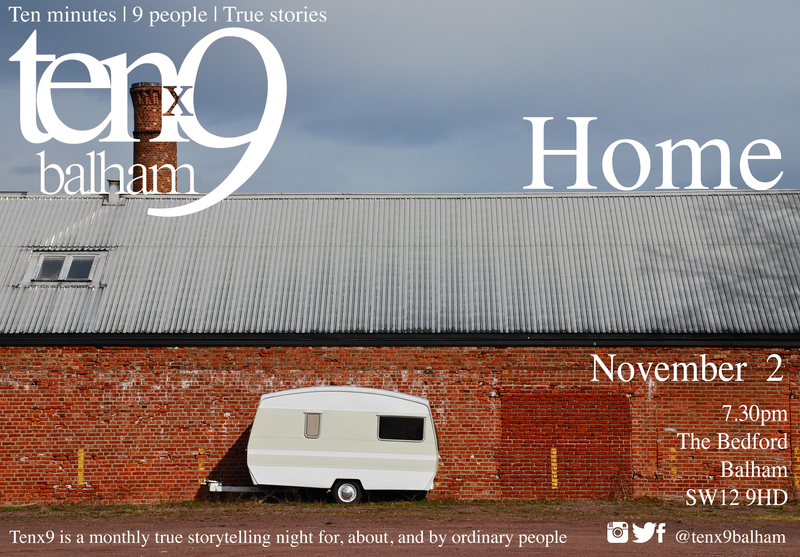 November 2 is the night for stories of home. True stories, honestly told, by ordinary people. Come to listen or come to share. 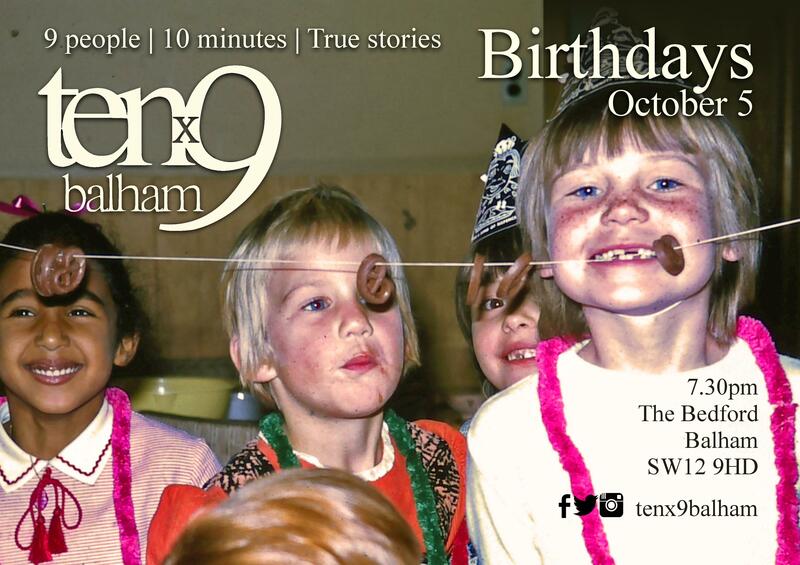 Tenx9Balham is one year old! True stories, honestly told, by ordinary people. Come to listen, or come to share. 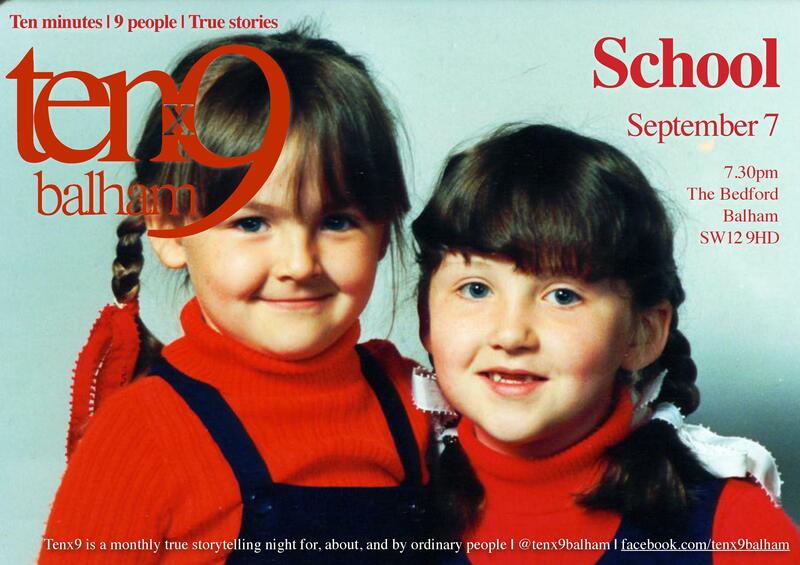 If you have a story to tell, drop us a message or email tenx9balham@gmail.com and we’ll give you a slot! September comes and instinctively it’s back to school time, even if you left school years ago. School – the best days of your life? Boot camp for the little? We’re looking for stories of mischief and great japes, of trials and tribulations, bullying and triumph in adversity, sports days, school trips, romances, broken hearts, exam stress and even what the School of Life taught you. Come and listen, or come and share. All are welcome. Drop us an email to claim a spot tenx9balham@gmail.com, and follow us on Twitter and like us on Facebook for updates. We all have one. Love them or hate them, our bodies do things we want them to do, help us express who we are, and get us from one place to another. Whatever your take on the theme we’d love to welcome you to hear ordinary people share their story, and to invite you to join in with one of your own.